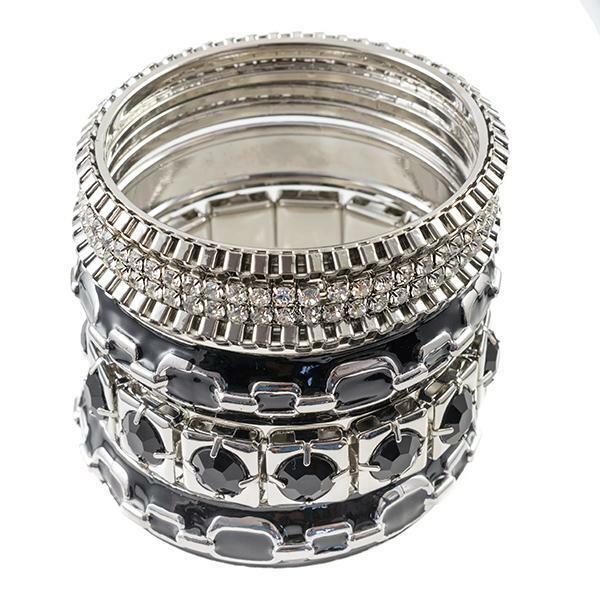 Elegant Austrian Crystal stretch bracelet. 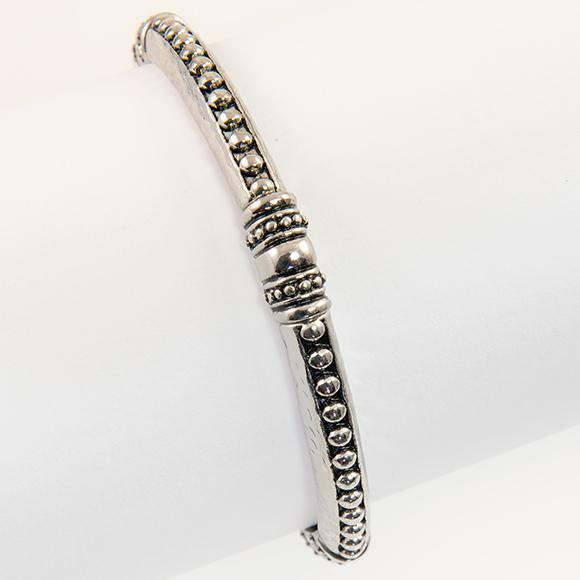 Rhodium finish. Fits most wrist. 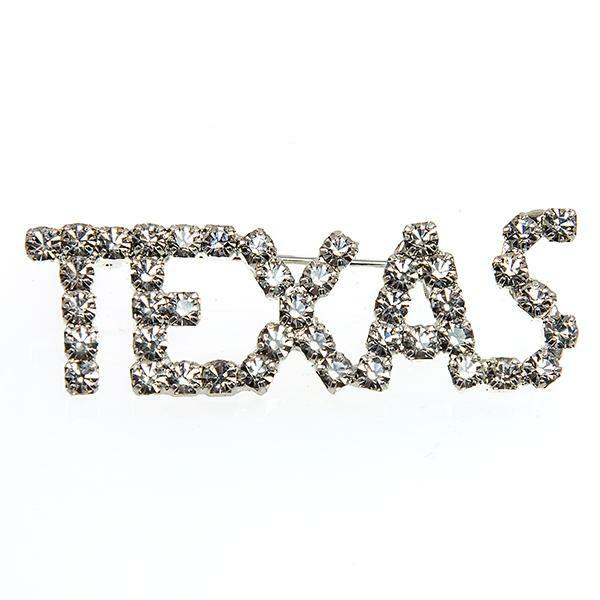 Austrian Crystal TEXAS pin, approximately two inches long. 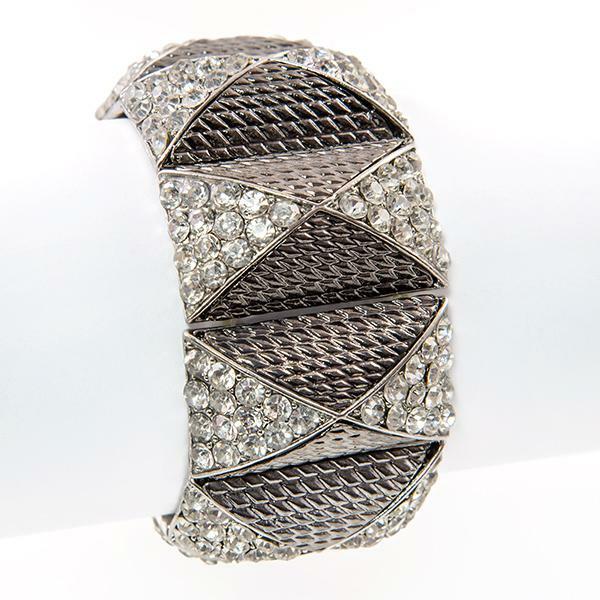 This silver stretch bracelet has a exotic stylization to the silver rhodium finish. Fits most wrist.